Its durability, easy care, and beautiful blooms have made Texas sage one of the most popular shrubs in Southern Arizona. 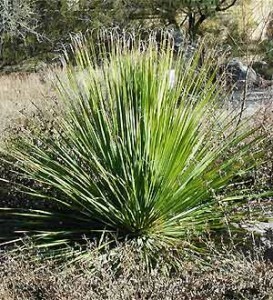 These tough, desert-adapted plants provide the backbone for many desert gardens. Mostly evergreen, clean and hard to kill, Texas sage is indispensable to anyone designing a colorful, low-maintenance landscape. 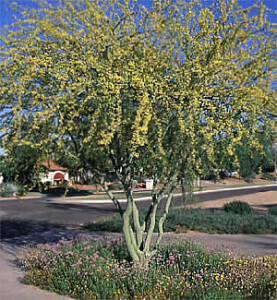 It absolutely thrives in the hot, muggy monsoon season in Tucson, AZ. 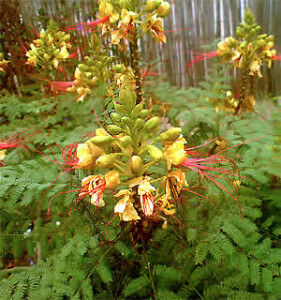 Flowering coincides with periods of high humidity. It grows 6 feet tall and as wide. The scientific name of this plant is Leucophyllum frutescens, although it has several common names including "Texas Ranger." 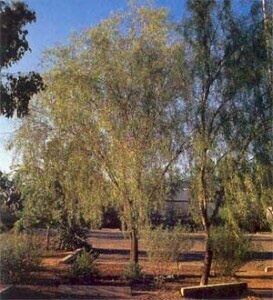 Plant Texas sage in full sun and reflected heat locations in the fall or spring. This shrub loves the heat! Texas sage is also very tolerant of cooler temperatures — down to 10° F. This plant prefers soils with good drainage. 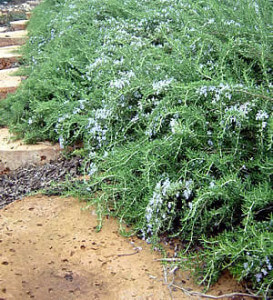 Texas sage is susceptible to chlorosis and root rot when grown in heavy or poor draining soil. Water established plants every two to three weeks in the summer, once a month in winter.